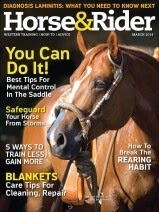 You can get a free subscription to Horse & Rider. This is from Mercury Magazines. It is completely free, and there are no automatic renewals. I've gotten this one for my daughter that loves horses. I never paid a penny, and she loved it. She loves horses, even though shes only been around them a couple of times. This is a great way to put a smile on your child's face. Everyone loves to get mail.